Three people, including a Chicago man, had to be airlifted to hospitals Saturday night after they were injured in a crash on I-65 in Jasper County, Ind., Indiana State Police said. The crash occurred at about 11 p.m. on I-65 near the Fair Oaks exit. 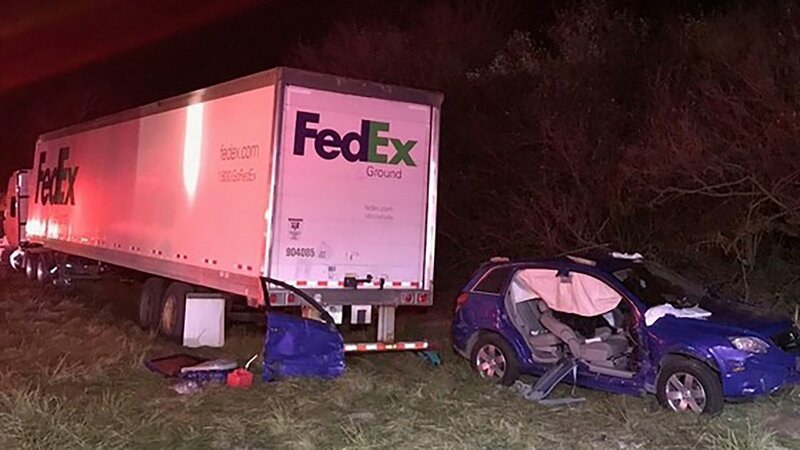 A Saturn driven by a 25-year-old Chicago man with two passengers, a 36-year-old woman from Indianapolis and 7-year-old boy, left the roadway and entered the median while traveling north on I-65, police said. The Saturn then crossed back into the northbound lanes and was struck by a truck traveling in the right lane, police said. The crash caused the car to spin out into a ditch. The driver and woman were seriously injured and airlifted to Christ Medical Center in Oak Lawn. The boy was transported to Franciscan Health Hospital in Rensselaer, Ind. The boy was later airlifted to Comer Children's Hospital in Chicago with non-life-threatening injuries.